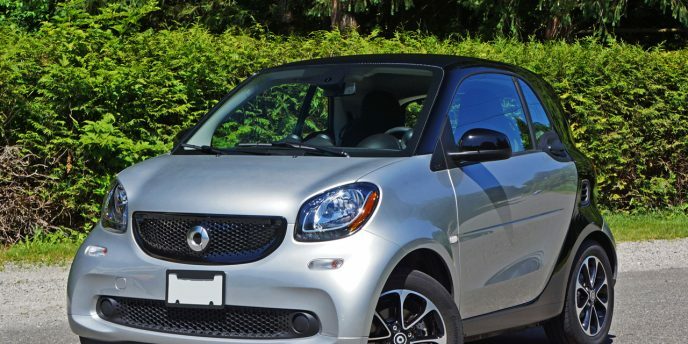 The Smart Fortwo Electric Drive has been with us since 2013 when it was introduced as a 2014 model, and since then has received rave reviews from those who appreciate efficient EV mobility. Its smooth acceleration improved on the gasoline-powered model's performance, plus it's hard to argue against near zero fuel costs despite a temporary drop in pump prices. Yes, as it turns out many Canadians haven't fared much better at $27-$54 per barrel than we did when crude hovered between $100-$146, the provincial average gasoline pump price ranging between $0.97 per litre in Saskatchewan and $1.29 in Newfoundland, with Ontario at $1.04 and BC at $1.19 at the time of writing, while the lowest metro price is Edmonton at $0.95 and highest Vancouver at $1.29, Toronto splitting the middle with $1.06 per litre. Hence, alternative fuel vehicles are still just as valid today as they were two and a half years ago before the oil market tanked. 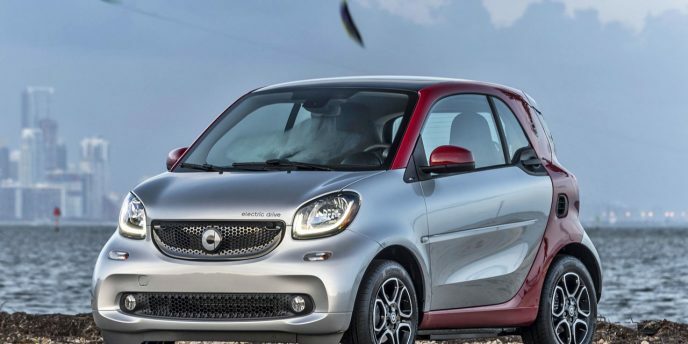 Smart's "big" news for 2016 is a totally redesigned Fortwo, and it's been worth the wait. Along with a tougher more assertive pug puppy look, a new and improved interior, plus better driving dynamics it's also larger, which will certainly be a welcome change for those that found themselves rubbing shoulders with their passenger, although possibly disappointing for young and young-at-heart lovers who won't be so close and personal anymore. 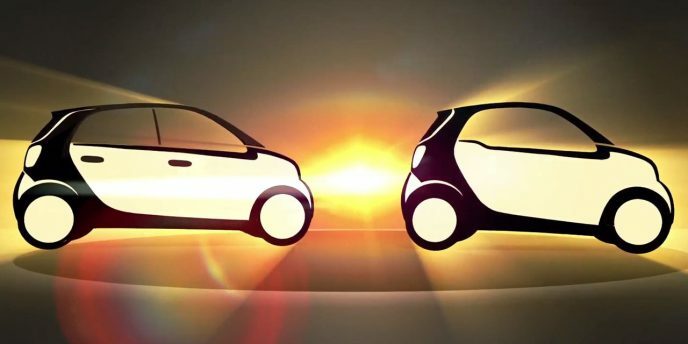 The world's tiniest car company has big news for 2016, the introduction of the third generation Fortwo. Complete with new styling, a slightly larger footprint, an upgraded interior, more power, new and improved transmissions, and more, the reinvented Smart car hopes to woo Canadian buyers like the original version did in 2004, and after a first drive I must admit they've made a convincing argument for going small. 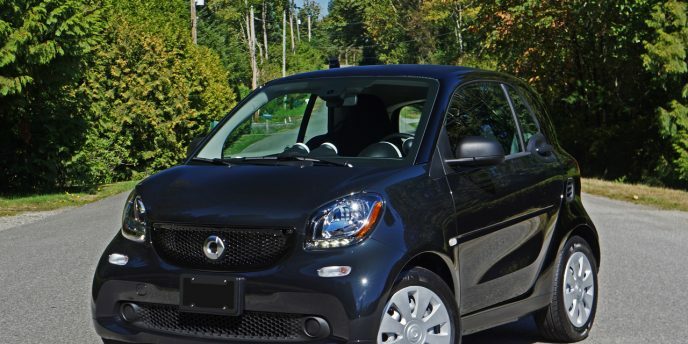 I've been fortunate enough to experience each Fortwo generation starting with a Euro-market version before the wee little car was officially launched here, at which point I tested the Canadian-spec 2005 Coupe and Cabriolet, then the completely redesigned second-gen 2008 model at its launch program in San Francisco, which was followed up by a 2009 Cabriolet on home soil, and now this entirely new 2016 Fortwo in mid-grade Passion trim. Daimler's Smart brand has carved out a unique niche with a loyal ownership following in the microcar segment, but no one including the German automaker itself would argue against the need for a second, larger model to help grow the brand. This need has become even more relevant now that arch rival BMW has created an eco-friendly sub-brand within its blue and white roundel division, with its first entry-level model, the plug-in electric i3, already enjoying significant attention and promising initial sales. Along with a completely new Fortwo two-seater, Smart will be resurrecting the stillborn Forfour. The Forfour, as the name implies, will seat four and therefore be capable of battling it out with the i3 as well as other four-seat microcars such as the Chevrolet Spark, Fiat 500, Mitsubishi i-MiEV and Mirage, Nissan Micra, and Scion iQ.